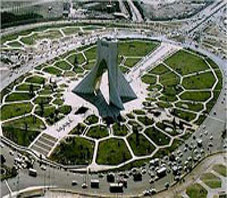 Day 1: ARRIVE TEHRAN After your arrival in Tehran, you will be met by our representative for the transfer to your hotel. Begin your tour of Tehran. Visit the Crown Jewels Museum with its impressive collection of precious gems and dazzling works of art. Continue on to Sa'dabad Palace and the Museum of Reza Abbasi, named after the most famous miniaturist of the Safavid era. The museum, opened in 1977, exhibits artifacts dating back to prehistoric and Islamic periods, and is particularly rich in calligraphy. Fly to Shiraz at night. Day 2: SHIRAZ One of the highlights of any tour of Iran is a visit to Shiraz, the capital of Fars Province and to neighboring Persepolis, the capital of Darius. 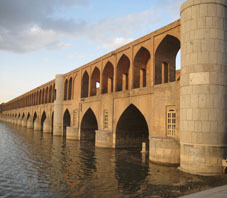 Shiraz is traditionally known as the city of Roses and Nightingales, but has become known in recent times as a seat of intellectual learning. 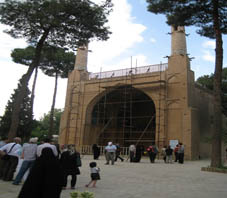 It was home to Sa'di and Hafez, the famed Persian poets, and is considered the cradle of Persian Civilization. Enjoy a full day tour with visits to the Eram Garden, the tombs of the Persian poets Saadi and Hafiz, Nasirol-Molk Mosque, Afif-Abad Garden, the Church of Saint Simon the Zealot, Vakil Mosque, and the Shrine of Shah-Cheragh "King of Light", noted for its dazzling mirror tiles. Day 3: SHIRAZ-PERSEPOLIS Persepolis, which in Greek literally means the capital of Persia, lies 36 miles north of Shiraz. 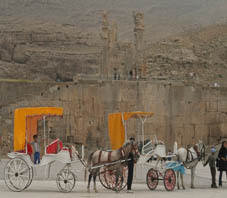 Persepolis is the last and ultimate expression of the ancient Middle East. Construction began by Darius the Great (521 - 468 BC) as the focus of the mighty Achaemenian Empire nearly 2,500 years ago. Spend a full day exploring these mighty ruins. Your tour will also include the Kuh-i-Rehmat, Nagsh-e-Rustam and Nagsh-e-Rajab. Fly to Isfahan in the evening. Day 4: ISFAHAN Isfahan is a wonder. Truly a city of splendor, legend has it that the city was founded at the time of Tahmourass or Keykavous. During the Safavid Era (sixteenth and seventeenth century AD), Isfahan was a city of Gardens and Palaces. 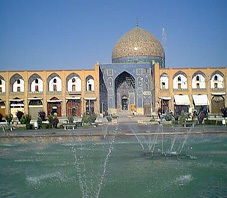 As a major trade center of its time, Isfahan's was known as "Half the World." Your full day tour includes the famed Imam Square (Naqsh-e-Jahan), a huge square second in the world to Beijing's Tiananmen Square. Tour the architectural marvels of Sheikh Lotfollah and Imam Mosques, Aliqapu Palace, Chehel Sutoon Palace, and also visit one of the most famous bazaars in Iran, where youcan purchase the arts & crafts for which Isfahan is so well renowned. Day 5: ISFAHAN Today's full day tour includes Hasht Behesht, Vank Church, the spectacular and historic Friday Mosque as well as the famous bridges. In particular, the "33 arch bridge" or "Si o Se Pol" dates from 1602 and is a colorful meeting place for locals to gather, drink tea, and refresh themselves. 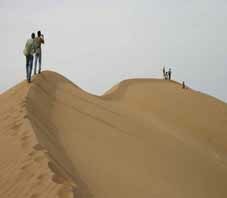 Day 7: JONDAQ Move toward the Mesr village, enjoy desert trekking in the evening. You will also have a wonderful night spending on star gazing in the fantastic atmosphere of desert. 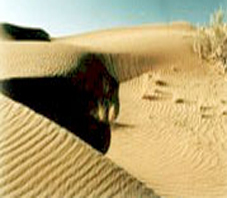 Day 8: JONDAQ Desert trekking in the morning and star gazing tour at night. Day 9: JONDAQ-TABAS Move toward Tabas (one of the most attractive towns in the Iranian desert). 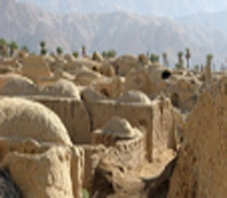 You will enjoy visiting the historical city of Tabas and its religious shrines. Day 10: TABAS Tabas lies in a desert like terrain to the northwest of the province. 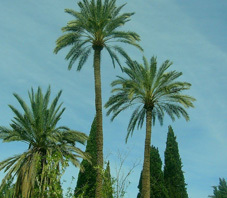 In the higher regions it experiences a temperate climate, whereas in the plains it is hot. Tabas is 1,345 km. from Tehran. It has been subjected to upheavals and attacks such as the Ottomans and then was occupied by the Esmailieh (a religious sect). 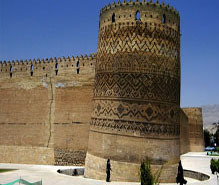 During the reign of the Saljuqian, the Esmailieh fortresses were attacked. In the time of Shah Abbas I this city was ruined by the Ozbaks. Many of the historical features remaining there relate to the 5th and 9th century AH. Full day city tour in Tabas. Day 11: TABAS Move toward Mashhad in the evening via Gonabad and Baghestan Ferdos to become familiar with the hospitality of the desert men. 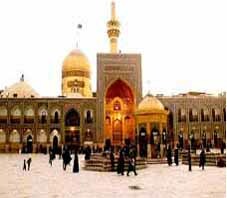 Day 12: MASHHAD Mashhad is a city where the Shiite Imam Reza was martyred and thus is an important site for Shia Muslim Pilgrims. 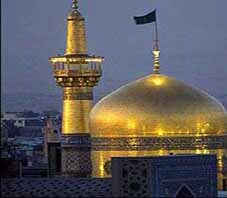 You will have a full day tour in Mashhad to enjoy its religious atmosphere. Day 13: MASHHAD You will enjoy another half day city tour in Mashhad (Imam Reza Holy Shrine, Ferdosi Tomb, Nader Shah Museum). 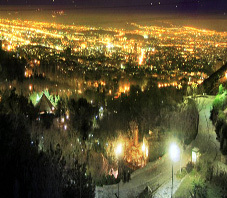 Fly to Tehran at night. Day 14: TEHRAN This morning's tour includes the Archaeological Museum with its fine collection of artifacts, including a stone capital of a winged lion from Susa, and a sixth century BC audience hall relief of Darius the Great recovered from the Treasury at Persepolis. The museum contains items that date back from the Sumerian Period (4500 BC) to the contemporary. 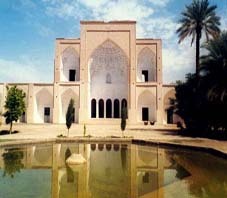 Also, visit the Ethnological Museum, which houses unique wax works depicting a wide array of indigenous Iranian cultures. Later visit the Carpet Museum with its superb collection of Persian rugs and carpets, and tour the Glass and Ceramic Museum. Day 15: DEPART TEHRAN This morning transfer to the airport for your departing international flight.